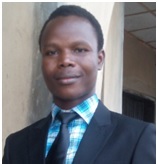 My name is Olatunde Oderinwale, a Ph.D (Livestock Science and Sustainable Environment) student of the World Bank Africa Centre of Excellence in Agricultural Development and Sustainable Development (CEADESE), located in the Federal University of Agriculture Abeokuta, Ogun State, Nigeria. I am the Student Representative for all the students undertaking different programmes in CEADESE. CEADESE, which is a specialised programme in the University, Nigeria and the whole of Africa, is aimed at producing postgraduate students who have theoretical, practical and industrial-based experiences. The industrial-based experience is the most unique part of the programme which is not available in all the Universities offering postgraduate programmes in Nigeria. vii. It is mandatory for all students of CEADESE to embark on a three-month industrial attachment, where practical/industrial experiences will be acquired. To this effect, I was posted to the Kalahari Red Goats Project Farm, IFSERAR, FUNAAB where I was exposed to feeding strategies of goats; goat grazing; paddock establishment and management; how to take some morphometric measurements on goats; health management of goats; and stock-taking; among others. Conclusively, I will like to state that CEADESE has changed my orientation and mentality towards Livestock Production and other aspects of agriculture with a view of ‘sustaining our environment’.